Adventures in Automation: Are you sure the bus line is still listed? : Don't gather data from the UI. Use a RESTful API endpoint instead! Are you sure the bus line is still listed? : Don't gather data from the UI. 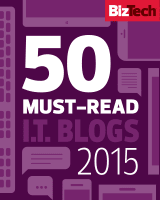 Use a RESTful API endpoint instead! You are an automation developer on a team developing in Java a new public transportation web application. The customer base for the app is located in Southeastern Massachusetts. The MBTA (Massachusetts Bay Transportation Authority) oversees the subway lines and buses of the Greater Boston area and the surrounding suburbs. The #230 bus line stretches across four cities, connecting a Commuter Rail Station in Brockton, MA (my hometown), a bus terminal for the Brockton Area Transit's BAT bus, and a major subway stop in Braintree, MA. How do you make sure that the #230 bus line is still listed? The easiest way to test to see if the #230 bus is still listed by the MBTA is a visual check through the MBTA's website. Test #1: Assert that the "230" entry is in the dropdown for "bus". 3) Choose "230" in the dropdown provided. 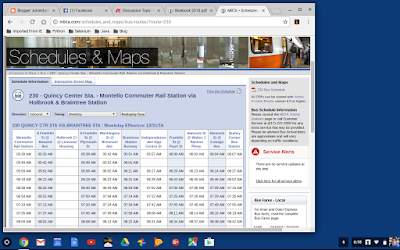 4) Wait until you are redirected to the schedule for the 230 bus line at http://mbta.com/schedules_and_maps/bus/routes/?route=230. Test #2: Assert that the schedule appears. Yes, the bus schedule appears... after a bit. ... But what if we want this to be part of an automated test and just want a yes or no answer to the question "Is the Bus Line Listed Correctly?" ... and you may be automatically redirected to the bus schedule, or you may not. Automate this with Selenium WebDriver and Java, and, mark my words, you are going to spend the next month or so trying to get the synchronization correct so the test doesn't time out. This test will be deemed a "flaky test". Woe to anyone attempting to use this test in their test library. A better test would be to not go through the web site at all to get this data, and communicate with a webservice that has this information instead. 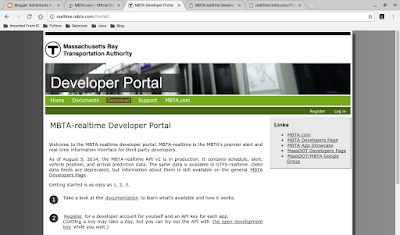 Luckily for us, like many sites nowadays, the MBTA offers an MBTA Developer Portal. Developers of third-party applications can read production data in real time, to see not just schedules of the buses and trains that the MBTA operates, but also the positions of the buses and trains in real time. What is the Public API Key? "Below is the current open development API key. It may change at any time. 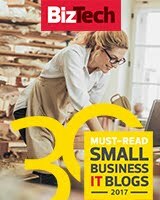 This key is open for all developers to use in development and testing. DO NOT go into production using this key! Register for an account and request a key of your own on realtime.mbta.com. There is no cost. "As of 5/11/13 the open development API key is: wX9NwuHnZU2ToO7GmGR9uw"
What Information Can You Lookup? Predictionsbystop: When will the next train or bus be arriving? Alertheaders: Are there any service alerts? You can see even more information in the MBTA-Realtime API Documentation (V 2.1.3) dated January 4, 2017. Listed is that you can query routes, such as bus routes. 1) Go to http://realtime.mbta.com/developer/api/v2/routes?api_key=wX9NwuHnZU2ToO7GmGR9uw&format=json to view all routes. ... And, yes, we can see that the 230 bus line exists! For this section, we will be covering how to use Java, TestNG and REST Assured to interact with MBTAs API.